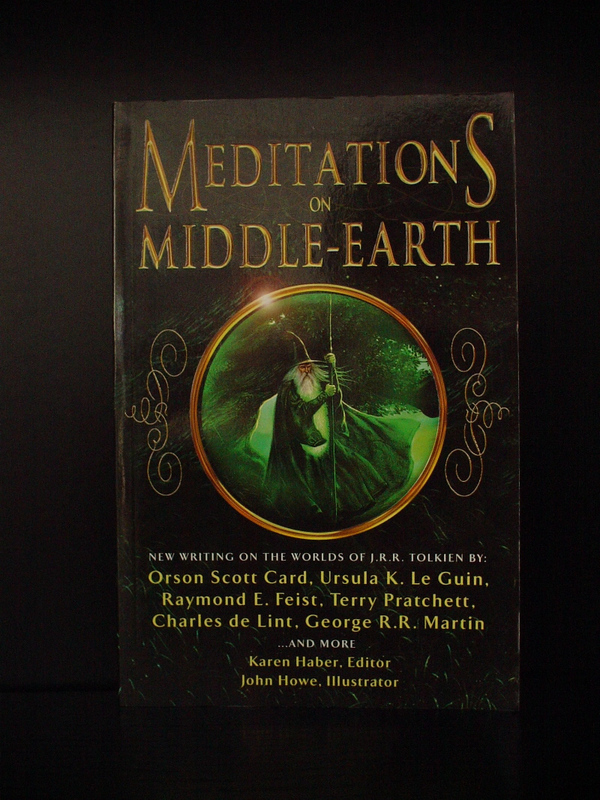 MEDITATIONS ON MIDDLE EARTH is a collection of essays focusing on J.R.R. Tolkien's works, especially the Middle Earth saga. Some of the more renowned fantasy authors of today evaluate the series that made fantasy a household name. Surprisingly, though everyone agrees that Professor Tolkien opened up the genre to the middle class, not all of the contributors are fans of the actual novels. Insightful and entertaining, each essay is well written with the writer's particular spin. However, this anthology will be loved by those readers analyzing the various cultures in a way that cultural anthropologists would envy or by those fans who cherish Beowulf, which Tolkien felt is the forefather of the genre. It is a near impossible task to pick up any fantasy novel, even if at random, or read about any author in the genre either in print or on the web, and not see some reference to the name JRR Tolkien. Regardless if proceeded by the words “in the mold of”, “like” “reminiscent of”, “in the tradition of”, or anything of the like the name JRR Tolkien permeates consistently throughout the world of fantasy. This collection of essays, Meditations on Middle Earth is no exception, however, this books offers so much more. Although we see the name Tolkien so often, the name so synonymous with the genre it is easy to forget to even fans of fantasy why this is so, other then the marketing gimmicks, put forth by publishers, and reviewers alike to attach some credibility with a name that is beyond respite in epic fantasy. Meditations on Middle Earth, presented and edited by Karen Haber, offers a look into Tolkien’s true impact on the genre, his impact on the authors of today, both personally and professionally, the torch carriers of the tradition which is Tolkien’s legacy; the authors who we all enjoy today, who some make a habit residing on Best-Seller lists, who have names from themselves yet in this novel share with us the true significance of the name Tolkien. Meditations on Middle Earth shares the thoughts of a virtual who’s who in the industry including the thoughts of authors such as George R.R. Martin, Orson Scottt Card, Ursula Leguin, Raymond Feist, Terry Pratchett, Charles de Lint, Poul Anderson, Michael Swanwick, Esther M. Friesner, Robin Hobb, Diane Duane, Harry Turtledove, Lisa Goldstein, Douglas Anderson, reknowned editor Terri Windling, and the famous art duo the Hildebrandt brothers. Whether we follow for the best is debateable, however we cannot begrudge the path that was made - it was his own.